Createspace Independent Publishing Platform, 9781532871122, 300pp. The "Summer of Blood" explodes. The U.S. is under siege from foreign jihadists and domestic terrorists. 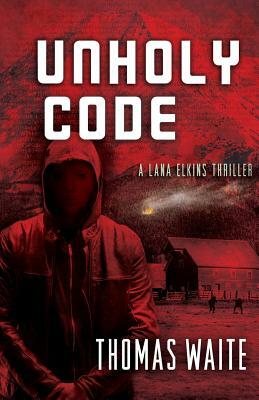 When a brilliant exploit strikes at the heart of the National Security Agency's own network, former NSA operative Lana Elkins discovers that it came from within the United States itself. More surprising still is the attacker: "Steel Fist," a cyber-savvy radical white supremacist whose legions feed on his anti-Islamic exhortations. His popularity only grows when a jihadist team carries out a bold, but baffling, attack on the Louisiana coast, bringing ashore a lethal invader no one can see. Most mysterious of all are Golden Voice, a hacker of unparalleled skill with a murderous agenda and a secret past, and Tahir Hijazi, a Muslim refugee from Sudan with his own shadowy history. When Tahir's young nephew starts dating Lana's daughter Emma, Steel Fist calls upon his fans to embark on a new mission: assassinate the entire Elkins family. As extremists battle each other-with Lana fighting both ends from the middle-the conflict becomes deeply personal, the stakes tragically high. In Thomas Waite's edgiest tale yet, battles savage the American heartland, shaking the very foundations of the world's mightiest nation. Thomas Waite is the bestselling author of the celebrated Lana Elkins thriller series. Waite's first novel, Terminal Value, reached #1 at Amazon. Waite is a board director of, and an advisor to, a number of technology companies. His nonfiction work has appeared in The New York Times, the Harvard Business Review, The Boston Globe, and The Daily Beast.